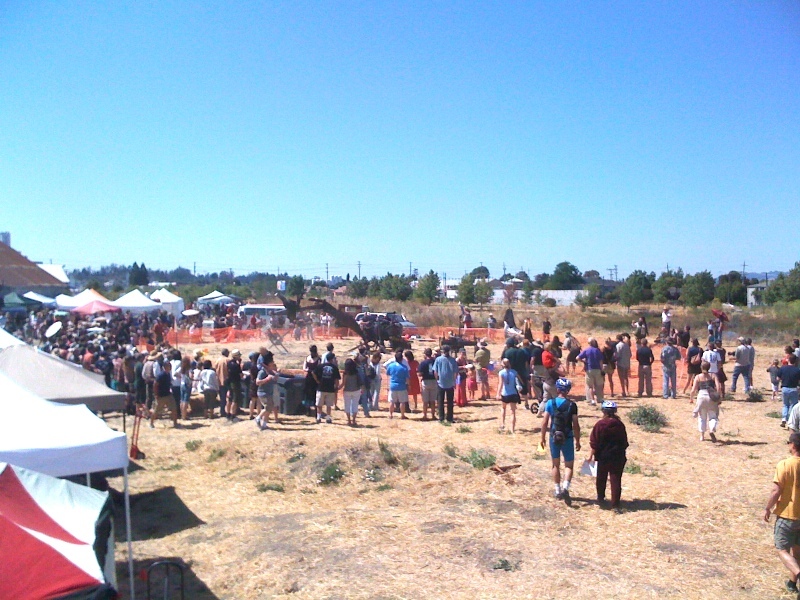 I got an email Saturday 9am on Dorkbot saying that SRL is going to have a few machines at some River Town Revival thing in Petaluma. I grabbed my things and went right up there. 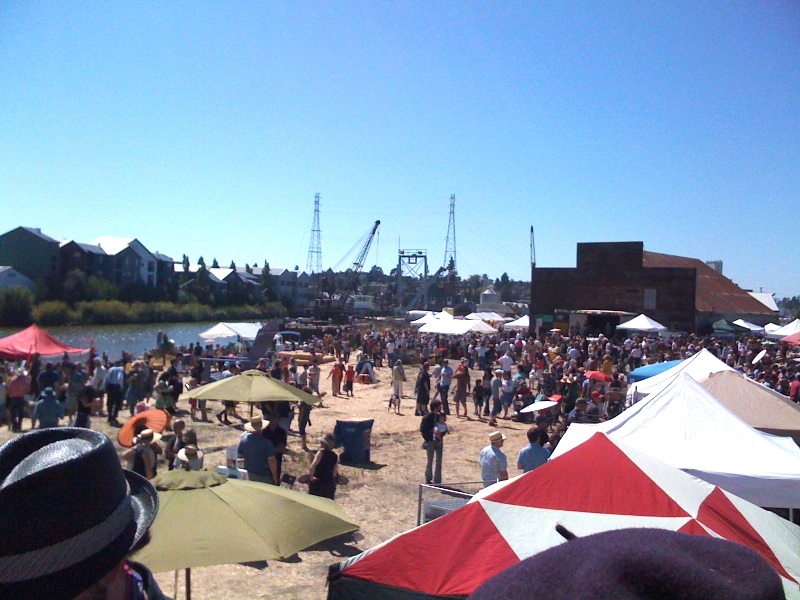 * I missed the art-boat race but saw some nice vehicles: a sea monster thing, a hand-made row boat, a giant floating wicker basket. Yes, that’s the Big Arm and Running Machine by SRL attacking a big glass sign with face shots of elderly people doing errr…. umm… things; suffice to say that the photos appear benign. Later the machines attacked a giant chicken; when the running machine choked the chicken mercilessly, everyone laughed and didn’t tell their children why. I met up with Noah, a great student of mine from Crucible Youth Kinetics. And Jessie, Erik, and Trebor (who got me the happiest beer of the day!) We all went off to a great dinner in Petaluma.